Need Help Learning to Use Canvas Features? Canvas Guides are here to help! Canvas has some pretty awesome features, but sometimes we all need a little help learning how to use them. Canvas training sessions are great (we offer them here at OLITS) but it can be hard to remember all of the fine details on using everything after a session. This is where the Canvas Guides come in. Even as someone who uses Canvas everyday, I find them very helpful and use them all the time. Canvas guides consist of step by step illustrated instructions on everything from assignments to notification preferences. Some features also include video explanations. There are also guides from the instructor perspective as well as the student perspective, so if your students are having trouble, you can refer them to the specific page in the guides that can help them out. The video below shows you how to locate and search the guides. If you use TurnItIn, you now have the ability to allow students to resubmit their assignments. If you’re an instructor, instructional designer, or interested in education, then you should definitely check out a new podcast that the OLITS crew is debuting. If you’d like to be a fly on the wall as an instructor goes through preparing and teaching an online course, then give this podcast a listen. We will be updating with new episodes throughout the semester and mixing some strategies you may want to incorporate into your courses. Turnitin is an online plagiarism checker that can be used to detect plagiarism in student papers. Turnitin can detect plagiarism from websites, books, and other submitted student papers. It even shows you potential websites where information was copied from. Not only can Turnitin help to deter and identify plagiarism, but it can also help instructors identify students who may be struggling with paraphrasing or are using too many quotations. The software is integrated in Canvas, and to use it, you just have to enable it for a given assignment. If you have used it before, you may have noticed there are some differences this semester. Turnitin has now become an LTI in Canvas, but don’t worry, it still has all of the same great features as before, it just operates a little differently within Canvas. Turnitin LTI Tool for Canvas – How Instructors Create a Turnitin LTI Assignment in the Canvas LMS from Turnitin on Vimeo. And here are some other helpful links. Remember, if you or your students are having difficulty with a Turnitin assignment, the helpdesk is available 24hours a day at 813-974-1222 or help@usf.edu. There are a couple of other things to keep in mind when using the new Turnitin LTI in Canvas. Be sure to set up all of your assignment settings in Canvas first, then enable Turnitin on the assignment. 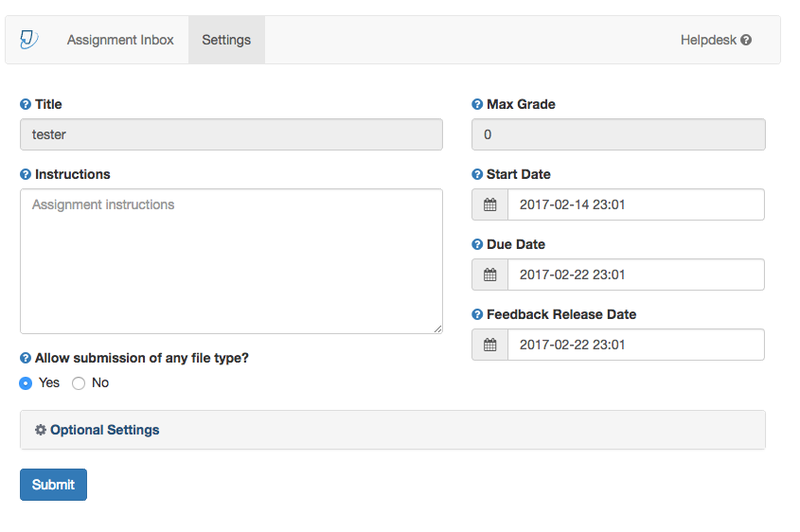 Turnitin offers a gradebook (as shown in the video), but you won’t want to, and don’t need to use it. You can use the speedgrader to grade your students assignments as usual, and you will be able to access the reports within Canvas. It has also been reported that Turnitin is not a fan of the web browser Safari, so we recommend sticking with Google Chrome or Firefox.